On Sale Now! 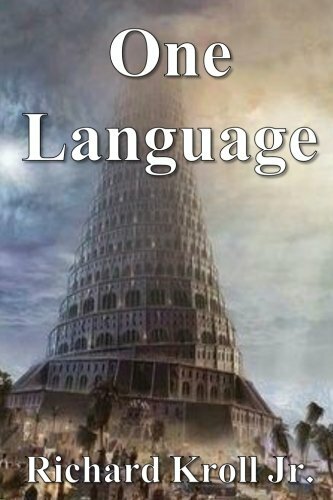 Save 5% on the One Language by CreateSpace Independent Publishing Platform at Translate This Website. Hurry! Limited time offer. Offer valid only while supplies last. What if... We all ''spoke the same language'' (Genesis 11:1-9) and had the ''same vision'' (Acts 2) What if... the church was working on all 8 cylinders? What if... We all "spoke the same language" (Genesis 11:1-9) and had the "same vision" (Acts 2) What if... the church was working on all 8 cylinders? The "4 wall Church" leaders and the Market Place leaders and missionaries/church planters all working TOGETHER?! What if... We knew our purpose, passions and calling and worked in the profitable pursuit of using those gifts not only to generate income, but bring the kingdom of God into our areas of influence to impact culture to the glory of God?! There's a whole generation of young people, and many in the church, who need to hear the good news of the Kingdom of God, understand the spiritual power they possess because of their faith in Jesus Christ, and the need for them to impact the world around them, especially in the market place, with their gifts, talents and passion for the glory of God. It's time for us to return to ONE LANGUAGE! View More In Personal Growth.